I don't know about you, but I just can't wait for the leaves to change colors, & the air to turn crisp and cool! Just as nature is changing (or soon will be!) 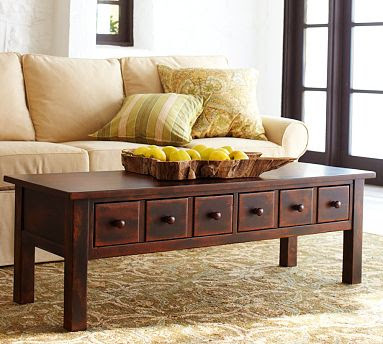 all around us at the beginning of a new season, there are little things that we can be doing in our homes to reflect that beautiful new beginning and make our homes a warm, welcoming place to be!! 1) Think apples! Not only is the start of school a clue (apple for the teacher! ), but nature makes these delicious fruits available to pick soon for making pies, tarts, applesauce, cakes, & cider! Go ahead and add some apples to your kitchen decor. 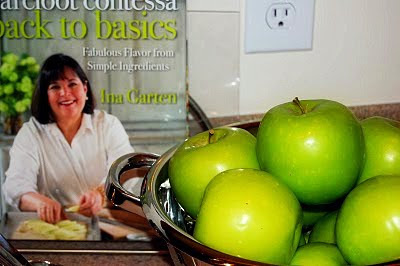 Put some fresh apples in a pretty bowl or colander and place on the counter (or on your coffee table!) for a healthy treat that's perfect for eating in season. 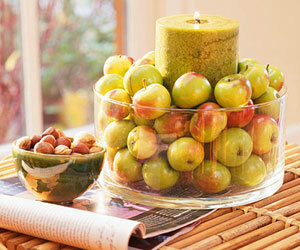 Or pile a bunch in a large glass vase with a candle nestled in the middle for a lovely table centerpiece! Choose your favorite variety & enjoy!! 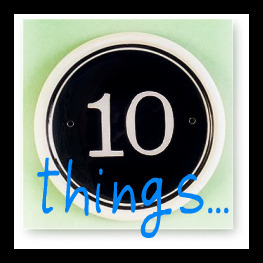 I'll be adding to this "10 Things" list over the next week! I love the idea of using apples in stuff. It's such a great pop of green! I love the apples with the candle in the middle! beautiful! Good to see you posting. We are missing the crisp cool fall weather of Chicagoland. Enjoy it for us. I love all those ideas! Thank you. We are going apple picking next week. I just made a fall wreath for the first time! Love FALL! Hey there :-) I set up a meet and greet for people going to Relevant. Come check it out and find your name. Just checking in with you to make sure everything is okay. I haven't seen you around in awhile! Just found your blog! Thanks for a great read! I love to read decorating blogs b/c I'm not very good at it!